Dark Souls is a third-person action role-playing game. The core mechanic of the game is exploration. Players are encouraged by the game to proceed with caution, learn from past mistakes, or find alternative areas to explore. 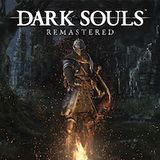 Dark Souls 1 is my least favorite Souls game, so I was pleased to hear they would remake it. “Great! Now they can fix everything that is broken with that game”. Alas, they didn’t fix anything. Instead they went to great lengths preserving every flaw. I played this game on Nintendo Switch. This was a huge lift for this game, I thought, but actually the developers porting this game have not understood the Switch at all. One big benefit of portable gaming is that you can easily turn games on and off, play 5 minutes on the bus and then sleep the console when it’s time to get off. Dark Souls Remastered however requires you to always quit to menu before turning the game off which defeats the purpose of playing this on a portable console. Another thing that really gets on my nerves is that they’ve brought the PS3 control scheme over to the Switch, going against the Switch conventions. Where A means “accept” in any Nintendo game and B means “decline”, this is now the opposite in Dark Souls Remastered which is very confusing to me and feels very unintuitive, even if I spent over 200 hours with the game on PS3. One good thing is that they’ve fixed the frame rate. The game runs much smoother both in and out of Blight Town. I enjoy playing it more on Switch even if it still is a flawed game. I don't really get why they did this. It is just a port to the Nintendo Switch and not a particular good port. Sure the game runs smoother, but if I wanted to play it I would rather just reconnect my PS3 and play it as it's supposed to be played. I completed the first third of the remaster, ringing the two bells of awakening, before I was bored and decided not to play anymore. I have many more new experiences waiting for me. It would be a waste of time going through this once more.